Power outages across Edgewater? Reviewed by Edgeville Buzz on June 8, 2011 . We’re hearing reports of power outages in various places throughout the neighborhood including the areas around Sheridan & Foster (recently) and Broadway & Bryn Mawr (last night). Have there been power outages where you live? 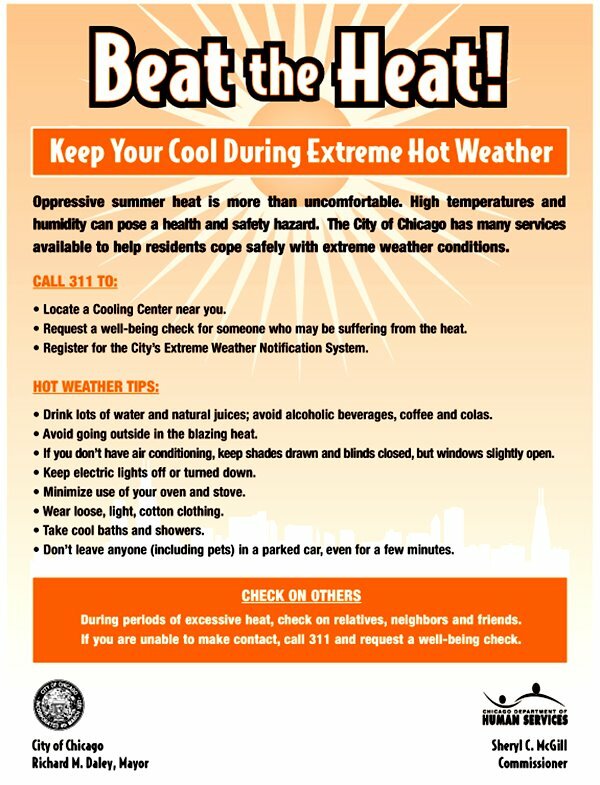 Remember with this extreme heat to take precautions to stay cool – especially if you do not have power or air conditioning. Thanks to the Uptown Update for posting this flyer with helpful tips (click to enlarge).